My hook has been flying lately. And I have been happy as a clam! All the color combination possibilities, all the patterns. We are sure to be cozy this fall. 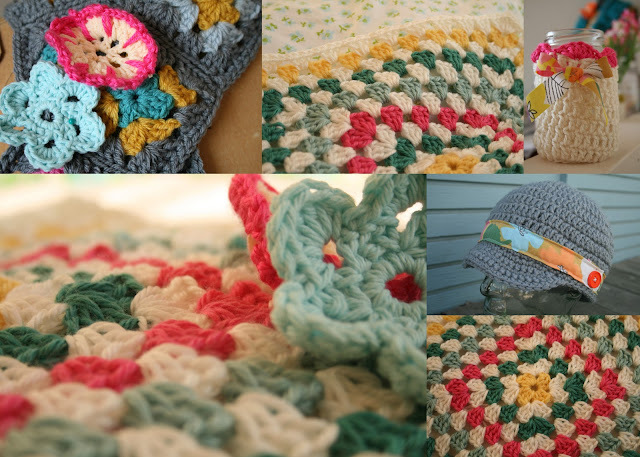 The ulitmate in crochet happiness is sitting on my front porch in the sun, or on my upstairs couch, gazing out my picture window, or watching a movie next to my husband, with a hook in my hand and a basket of yarn by my side. This little guy is stuffed now, but soon all those lovely colors will be wonderful creations, and it will be time to fill him up again. Oh, and never mind the messy condition all those balls are in. I'm too busy sitting in the sun crocheting to bother rolling them up nicely. I'll have to do that some other time.